The Reverend Dr. Cynthia Rigby, W. C. Brown Professor of Theology at Austin Presbyterian Theological Seminary, has published a new book Holding Faith: A Practical Introduction to Christian Doctrine. She will give an in-depth presentation based on her book as part of the Stalcup School of Theology for the Laity at FPC Dallas on Saturday, September 8, from 9 a.m. – 1:45 p.m. All FPC Dallas members are invited to attend for free, and a $10 donation for meals is suggested. Reservations are necessary. Contact Emily Hill at 214-748-8051, etx. 226 or emilyh@fpcdallas.org to reserve your seat. Cynthia will preach at both worship services on Sunday, September 9. Professor Cynthia Rigby joined the faculty of Austin Presbyterian Theological Seminary in 1995. The Dallas Morning News called Professor Rigby "one of the great theologians of our time." In his article, William McKenzie wrote about twelve contemporary theologians who can “span the gap between church and society. Attention to theology, politics and sociology allows these thinkers to shape the world, not just follow in its wake.” Dr. Rigby’s special area of interest is setting Reformed theologies in conversation with theologies of liberation, particularly feminist theologies. Rigby is a general co-editor of the nine-volume lectionary commentary series, Connections (Westminster John Knox); the first volume will be published in 2018. An energetic scholar, Dr. Rigby's latest book is Holding Faith: A Practical Introduction to Christian Faith(Abingdon Press, 2018). She is also the author of The Promotion of Social Righteousness (Witherspoon Press, 2010) and is co-editor (with Beverly Gaventa) of Blessed One: Protestant Perspectives on Mary (Westminster John Knox Press, 2002) and editor of Power, Powerlessness, and the Divine: New Inquiries in Bible and Theology (Duke University Press, 1997). She is currently completing a book on Christian feminist theology for Baker Academic Press and a book on "grace and play" for Westminster John Knox. 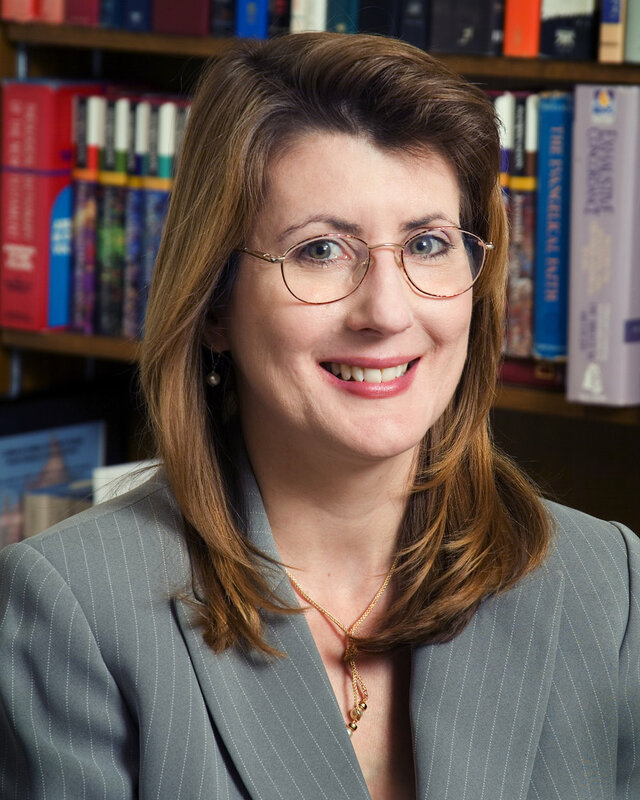 Professor Rigby is the co-chair of the Reformed Theology and History Unit of the American Academy of Religion, where she has been an active member since 1993. She has been a member of the Workgroup on Constructive Theology for sixteen years. She is an associate editor for the Journal of Reformed Theology and the Journal of the American Academy of Religion. Professor Rigby is a sought-after speaker who enjoys lecturing and teaching for academic, church, and denominational events both domestically and internationally. Dr. Rigby is actively engaged with congregations, preaching, teaching adult education classes, and leading church conferences on why Christian doctrines matter in real life. An ordained minister in the Presbyterian Church (U.S.A.), Professor Rigby serves on the board of the Presbyterian Publishing Corporation and recently served as an author of the Sarasota Statement for the Next Church (2017). In 1998 Professor Rigby received the PhD in systematic theology from Princeton Theological Seminary where she was awarded a doctoral fellowship and the Wildrich Award for Excellence in Homiletics. Prior to her appointment at Austin Seminary she served several churches, lectured at New Brunswick and Princeton Seminaries, and spent a year as Pastor of Special Ministries with the United Church of Christ in the Philippines in Cagayan d’Oro City, Mindanao. In 2010 Dr. Rigby became the first faculty member elected to Austin Seminary's Board of Trustees.